This article was written and sent to us by Sorcha Kenny. Read more about Sorcha in the author’s bio at the bottom of this post. 874 miles, 12 days and two countries. Land’s end in the southernmost part of England, all the way through to the northernmost part of mainland John o’ Groats, Scotland, by sitting on the saddle of a bicycle is one of the most iconic long distance rides in the world that one can embark upon. The route sees cyclists travel over some gorgeous lakes, valleys and beaches, as well as hundreds of towns and villages, and impossible inclines and ecstatic declines – it is a truly compelling way to experience the UK. Completing the cycle successfully requires dexterity, determination and knowledge. Here are a few things that you should consider before embarking on the trip of a lifetime. This part of your journey is just as crucial as any part of your trip. It is absolutely essential that you are in a formidable physical shape for this 12-day trip. Unfortunately you can’t just plan your route one week and cycle the next, and unless you’re an avid cyclist then training is going to be tough. 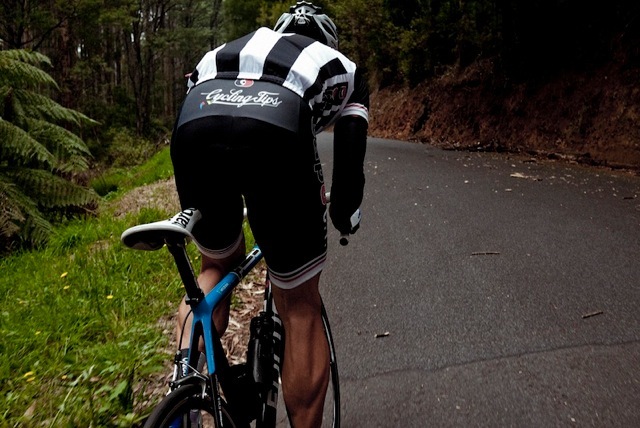 You will need to engage in a strenuous cycling program that will increase your chances of finish the mammoth task. If going to the gym isn’t your style, then it could be worth investing in fitness equipment for your house from sites such as Hammer-fitness.co.uk to keep you in shape. The second part of your preparation may not be as physically exhausting, but it could well take its toll mentally. The training for your route needs to be meticulously fine in detail. There are several ways to make the cycle trip – it largely depends on what you want to see. Visit this site here and plan a route that works for you. Then you can begin making sure that you have all the correct equipment and begin counting down to the big date (while you train of course). If one word will characterize your trip, it has to be “midges”. From the Highlands of Scotland to the south of England, you will likely be harassed by midges – rural Britain’s answer to mosquitos. They will treat your body as an all-you-can-eat buffet while you slug away on the saddle- unless you take precautions. When it comes to camping, avoid long grass and open water – a midge’s favorite habitat. This should reduce the amount of midges that will inevitably populate your tent. You will also need to get used to the ritual of applying repellent to every inch of your skin several times a day, which can be very annoying, but less so than a body full of painful spots. There are so many amazing things to see around the UK, but this trip is something special. The experience of cycling the length of the UK is not for the lighthearted, but you will see some breath-taking scenery along the way and it’s one journey that you will remember for the rest of your life. Keep in mind, it’s also possible to make a road trip for something a bit easier. Sorcha Kenny is originally from South Africa, and has a mother from China and a father from Ireland She spend most of her childhood summers exploring the lands of her parents, which she feels really gave her an interest in travel and culture.